ATLANTA -- Three people have been arrested after a massive fire under I-85 caused a huge chunk of the roadway to collapse Thursday, multiple officials confirm. Officials still don't know what materials fueled the destructive fire, but investigators indicate that the three people are connected to the fire. The state Fire Marshal and the Atlanta Fire Department both confirmed the arrests. According to spokesman for the state Fire Marshal's office Glen Allen, Basil Eleby, Sophia Bruner and Barry Thomas are all facing charges. Bruner and Thomas are charged with criminal trespass, while Eleby was charged with criminal damage to property, though those charges could be elevated. Allen said they believe the three are homeless and were living in the area where the fire began, though it's uncertain where. Authorities believe all three were at the scene when the fire broke out, though Eleby is said to be the one who actually set the fire. Allen said they believe Eleby, Bruner and Thomas were the only suspects involved. 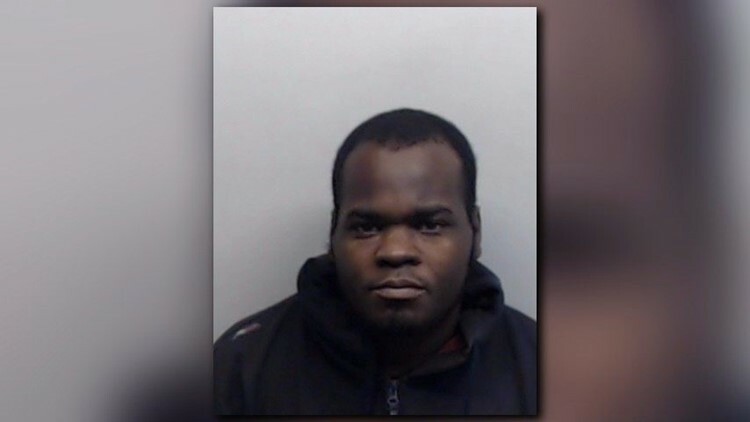 Fulton County Jail records show Basil Eleby had been arrested 19 times before for drug, battery, assault and other charges. An April 2014 mugshot shows Eleby after he was arrested for charges related to the sale and trafficking of cocaine. Police and fire investigators were able to make the arrests after they received tips about the suspects and their whereabouts. They are now in custody, and officials have not indicated when they would have a first appearance. Gov. Deal declared a state of emergency for Fulton County Thursday and urged drivers to avoid the large section of I-85 if at all possible. Commuters were redirected to surface streets like Piedmont Road and Cheshire Bridge, and MARTA announced that it would offer expanded service in light of the situation. GUIDE | How do I get around on MARTA? On Friday, GDOT and other state officials gave an update on the status of the destruction. They said 700 feet of both the northbound and southbound lanes on I-85 would have to be rebuilt. Crews haven't been able to determine a timeframe for when repairs to the roadway would begin, but officials said reconstruction would be time consuming. Local officials confirmed that $10 million in federal funds have been released to help pay for the repair and reconstruction of I-85 damaged by the collapse. 11Alive is committed to getting you the information you need to get about the I-85 collapse safely. We're sharing an ever-changing list of closed roads. We have the city's most experienced television traffic reporter. We have a network of hundreds of traffic cameras and live interactive maps.